……1 year of fish, 1 of rabbits, and a lot of hoofing and searching in between…. Derek Hill founded The Art Studio, Sunderland, and was its artistic lead from 1986 until 2012. In that time it became an internationally acclaimed resource for the production of art by people who have not followed traditional academic routes. It is a unique attempt to address the issues surrounding both mental health and representational practices. It was established as part of an initiative to provide facilities and a creative environment for people who had been in long-term psychiatric care. Since then it has become much more than that. 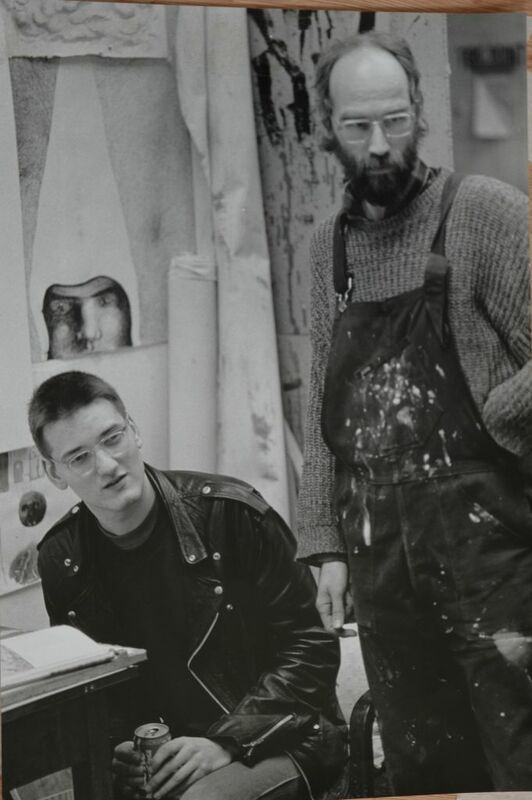 In the space of a few years, The Art Studio had become an extraordinary forum for the discussion and development of good artistic practice outside of the usually restrictive regimes of the art establishment. Here was where the artists decided what art is and their work set them apart because of the astonishing commitment that was invested in it far and wide. From 1991 until 2010, before it moved to its current premises, the Studio was situated in the heart of Sunderland’s city centre. It had three floors and 30 individual and shared studios as well as ceramics and printmaking facilities, and a digital-imaging suite. 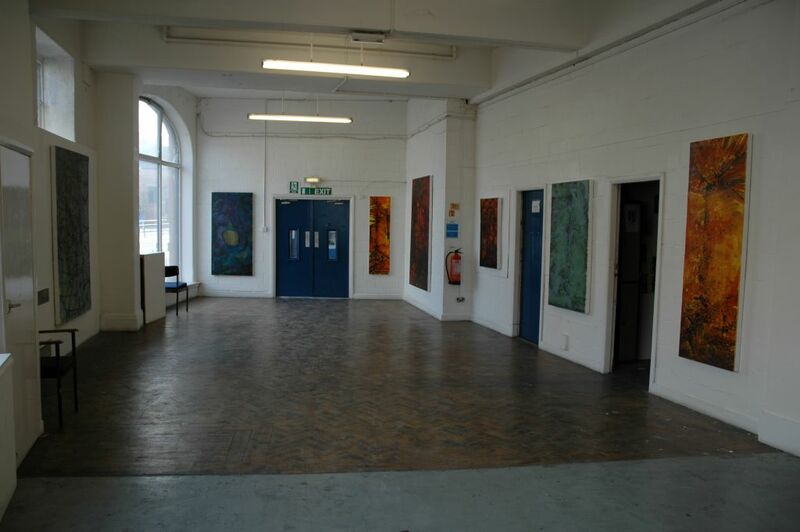 There was also a large spacious gallery on the ground floor for regular exhibitions of Studio artists’ work and for networking with Universities and other professional visual arts organisations. Derek Hill’s work with people with mental health issues was trailblazing and inspirational. Hill arrived in Sunderland as a postgraduate of the Royal College of Art, London, and, after having undertaken his first one-man show at the Imperial War Museum, London with his show; ‘Victory, and Defeat’; an 18 month Fellowship at the Artescape Trust, Lincoln; a 12 month artist in residence post at Bishop Grosse-Teste University, Lincoln; a residency at Walton school in Peterborough; and a variety of visiting lecturer posts in colleges and Universities throughout the UK. The project began in 1986 as a one-year pilot project, through the administration of the North East based Artist’s Agency, with government regeneration finance which was awarded to Sunderland Health Authority. Hill was appointed on a one-year contract, with support from the sculptor, Chris Sell to engage with people arriving in the community from Cherry Knowle psychiatric hospital for the Sunderland Health Authority. Instrumental in employing over 20 professional artists on a part-time and full-time basis; placedFine Art BA Honours and Post Graduate students as part of their course development. Offered mentoring, research and development to Fine Art Ph.D. and placements for international artists on study grants. Hosted exhibitions of BA Honours and Post Graduate students degree work as well as exhibitions of arts and craft professionals. Its success was recognised by the City of Sunderland who provided an industrial unit, at a peppercorn rent, to be used for the Studio’s continued development and daily practice until 1988, when it progressed to accommodate its band of artists in a 3 storey, 15,000 sq. ft. edifice in the city centre in 1991 where it remained until 2010. During this time, Hill sought ring-fenced funding to establish a post for a sculptor from 1 day per week to full-time and for a development worker to fundraise and increase the Studio’s visibility region and nationwide, and to realise its potential for existing and future ‘artists’. 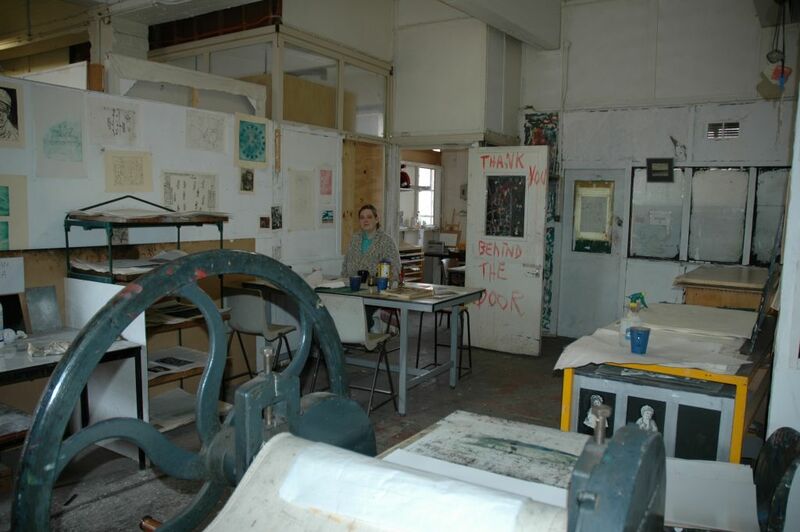 Funding for the installation of a self-contained Printmaking and Ceramics facility followed, as was a fully equipped digital – imaging suite. A new programme of Research and Development was established at the Studio, aimed to encourage personal and group development and to realise their individual potential. Personal funding packages based on individual need were financed to enable people to visit exhibitions and places of interest throughout the UK. 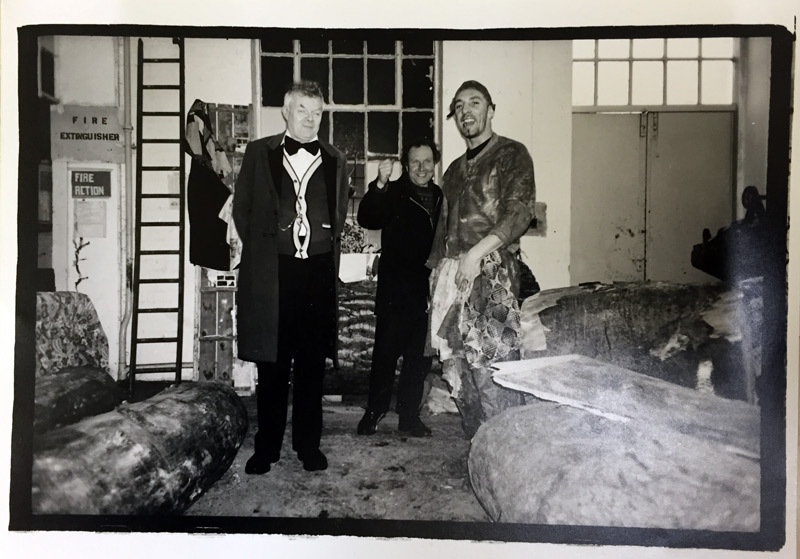 Hill would continue his practice alongside people on a daily basis and set about organising a series of exhibitions of the Studio’s work at numerous formal and informal venues including; Giant Fish and Jumbos at Sunderland Museum, and at The Laing Art Gallery, Newcastle. This was followed a few years later by a major retrospective of the Studios’ work at the Northern Centre for Contemporary Art, Sunderland. (now the Northern Gallery of Contemporary Art). Further collaborative exhibitions would follow, including, shows in London; Oxford; Glasgow; and a symposium in Warsaw and Gdansk. The success and profile of the Studio were further highlighted when its work was represented as part of a major international art expo tour sponsored by IBM computers. The exhibition, “12“ featured in all of the 12 major E.U. cities. 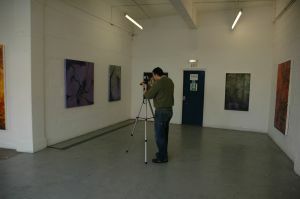 During his time with the Art Studio, Hill organised an exchange programme between the Studio and The Centre for Developmental Art, in Glasgow, who was inspired to create a studio facility for their members based upon the Art Studio model and his guidance and example helped in the initiation of 3 similar organisations in, North and South Tyneside and Newcastle on Tyne. Through his work with the Art Studio, Hill developed a close relationship with its chief Partners the Sunderland Health Authority (Teaching Primary Care Trusts), and City of Sunderland Social Services, (and later, Durham and Newcastle Health Authorities and Social Services, and various voluntary agencies) to fulfil and deliver on service-level contracts agreements (IPA’s), and an informal drop-in service for other user artists. As well as developing his own practice alongside people on a daily basis. With his encouragement, over 30 individuals went on to complete undergraduate and higher degrees in Universities and Colleges throughout the UK. He established a work placement programme at the Studio, for Ph.D., MA and BA students of Fine-Art as part of their college studies. Hill’s practice today is as non-institutional and robust as it was when he set up the Studio. Hill would achieve recognition for demonstrating the value of art and artists working directly with people in the public arena, outside of mainstream art practice. 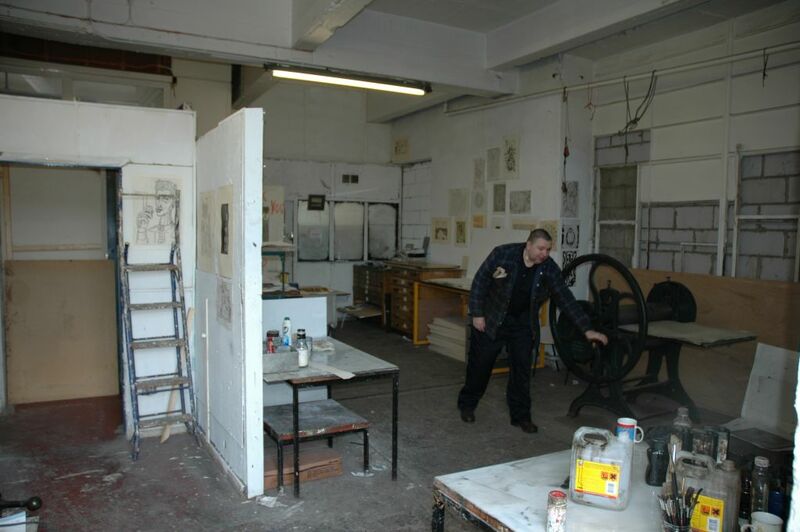 The Studio was instrumental in the development of the North and South Tyneside Art Studios, as well as inspiring the development of an art studio in Project Ability, Glasgow. Special mention to Lucy Milton, Ailsa Martin, and John Millard.